Where will my dog stay? Whether you are going on vacation or just getting away for a day or two, there are specific things you need to consider before boarding your pet. Our pets are like our kids, at least to most of us, and where we leave them and with whom are very important to us. You certainly would not leave your children with someone you do not know or trust, likewise you have to trust whoever you put in charge of your precious pet as well. It is important to know what your pet’s temporary living space will be like. Ask for a tour of the facility to ensure that the environment is neat, clean, organized and odor-free. Does the boarding kennel insist on animals being vaccinated? Recommendations from family, friends and your veterinarian can help you in choosing the best facility. Don’t choose a place according to price but make sure your decision is based on the best and cleanest place to leave your pet. What is really nice about our boarding facility is that we will send you pictures while you are away to update you about your pet so that you can be comfortable knowing your pet is happy while you are miles away. How often will my dog get exercise? Some boarding facilities only let dogs out twice a day for a few minutes at a time. However, if you want your dog to get a bit more time to stretch, you should look for a place that lets them out to play regularly. Ask if they have a fenced-in area where your dog can roam and play. Boarding can be stressful for your pet, even if she/he is accustomed to it. A change in diet can add to the stress possibly resulting in diarrhea or vomiting. Bringing your pet’s regular food is the best way to prevent this. Be sure to stress the importance of feeding your pet her regular food. Some pets will not eat well while boarding, so you may want to bring along something healthy that can be added to her food to make it more palatable. 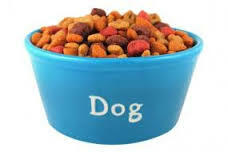 Be sure to leave specific instructions with the boarding facility regarding what your pet can and cannot eat. Find out the schedule at the kennel. What are the feeding times, what are the play times, quiet times, potty times and so forth? Some boarding facilities offer daily sessions where dogs are permitted to play together off-leash. While this is great exercise and fantastic way to socialize your dog, it can also be risky. 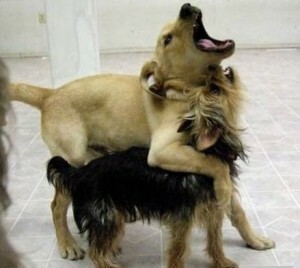 Even dogs that get along with other dogs can become over-stimulated in a group environment especially if they are not neutered. If dogs are allowed to play together, attendants should heavily monitor the dogs during this free time. Ask the facility about their policies regarding dog playtime, including their established protocol if an injury occurs. What happens if my pet becomes sick? Every boarding facility should monitor the daily habits of boarders, vomiting, diarrhea or other abnormal activity should be noted also find out where they take dogs that become sick.